I set this post by Beervana‘s Jeff Allworth aside to respond at a certain point but (almost) forgot. It seems that there is a company out there trying “to provide concertgoers with unique craft beers” designed by the bands performing at their venue. The company allows the bands to try some beer and notes what they like. The band is then invited out to a brewery so as to better understand the process. From all this, a beer specially-designed by the band is served at their shows. It’s an excellent idea that appeals to me for obvious reasons. I could go on all day about what styles various bands might choose to brew. Dinosaur Jr. would brew a dank DIPA measuring over 100 IBU’s. Tune-Yards might choose a Saison with loads of Brettanomyces. 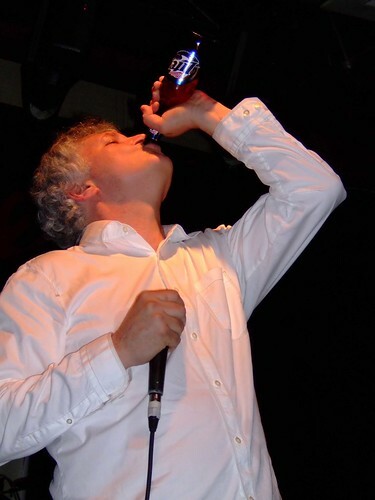 Guided By Voices…well, you know. First of all, I don’t mean to call out Pivni. I partly agree with him. It’s not ideal to have non-beer folk design a beer. However, who’s to say these bands aren’t equipped with taste buds? Offer them an array of interesting beers and they’re sure to pick something that’s flavorful and complex. The problem only arises when the beers you let them try or pick from aren’t much better than whatever they normally drink (assuming they drink swill). Interestingly, Jeff imagines some of Portland’s indie elite (and there are many) choosing their own favorite styles. One would have to agree that a Portlander would choose some great styles as the average beer IQ in Portland is certainly higher among all residents, even among the musician types. Where Pivni points to musicians’ beer ignorance leading to somewhat uninspired beers, Jeff sees musicians in a beer-friendly culture designing beers we beer enthusiasts would actually like. Of course, this is not the audience for which these beers are intended. No, they’re for live music fans. Have you been to many rock shows in your lifetime? I’ll just say that most rock show attendees are not sipping a Westvleteren 12 from a chalice. They’re drinking a PBR or Hi-Life. Regardless. It’s an interesting idea to serve beer designed by a band at their shows. I applaud the inventiveness, even if the there are holes in the logic. I’d really like to see this idea practiced in a place like Portland. Maybe Portland bands could tour with their beer to serve at shows. That I’d like to see. 1 If it takes off, one of two things is certain to happen. 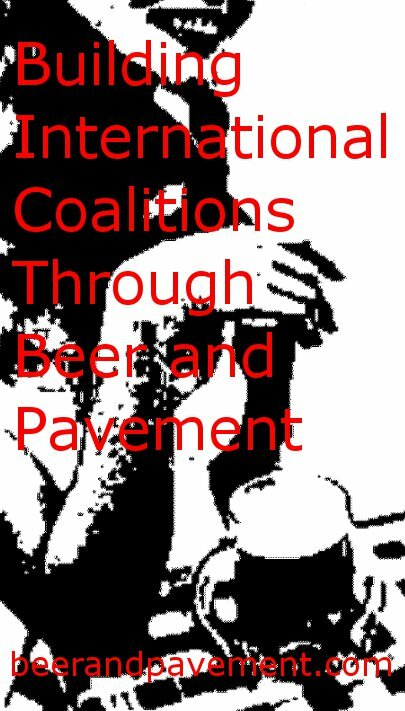 This blog will be seen as a touchstone in music and beer integration. That or I will open a venue/brewery that does this very thing. Since I have no money to start the latter, I’ll assume the former will happen any day now. 2 OR what I as a beer geek would hope they would brew. 3 Honestly, I have no problem with him. He actually writes a fairly interesting blog. I just wish Google Translator did a better job of translating. 4 I don’t know this to be the case. What I do know is that the brewery is located in the UK and I find most British beers to be not much more inspiring than most rice-adjunct, industrial lagers. That’s just my opinion and there are people way more qualified in beer knowledge that would dispute this assessment. For argument’s sake, let’s say a band really likes the tried and true ESB. So what if they help design another ESB that just tastes like all the other ESB’s out there? Put their taste buds to the test and force these bands to design something insanely original. I mean, they are creative people. 5 Thankfully, most of the venues around here have added some quality craft beers to their taps. I’ve had a lot of Lagunitas IPA over the last couple of years. 6 Of course, with state beer laws the way they are, this could never work. A boy can dream, can’t he? There are notable exceptions at shows. The folks following the Grateful Dead (and later, folks following bands like Phish, moe., etc.) drank great beer and brought it with them as they went around the country — Deadheads were Anchor’s and Sierra Nevada’s advance marketers as it were, and later on smaller West Coast brews came East this way. Also, when a giant band/artist with a renowned past does a huge stadium tour, venues realize the folks who can pay big bucks for tickets might want better stuff that they can sell at high prices. Also, dad rock: If you go to see a show full of thirty and forty and fifty-somethings, the beer is better. And finally, if you’re in a craft beer mecca, that’s what will be on tap. Portland (both of them! ), Burlington, California venues… craft. Yep, it’s gotta be stuff to serve in a solo cup (no 10% abv brews, generally), but it’ll be made by a smaller brewer. I told you before that Whip Wilton from Queensryche is a beer guy and at least collaborated on brewing Whip Ale. That’s a pretty rocking band though my Pandora seems desperate to play everything. Whip is out promoting the beer himself too, even when tired with another show just a few hours away.